→Joe Vitale’s Law of Attraction Certification Review- Should We Prefer Online LOA Certification Courses? Joe Vitale’s Law of Attraction Certification Review- Should We Prefer Online LOA Certification Courses? In this law of attraction practitioner certification course review, we will take a close look at this product using which you can help people to create the life of their desire. Dr.Joe Vitale is one of the best law of attraction teachers of today’s world, he has gained a lot of popularity by teaching money making techniques, hypnotic marketing and success principles. Joe Vitale was one of the main casts in the movie “the secret”, so you might be already knowing him. I have been following him for a long time, one thing about him that inspires me the most is that he lives by what he teaches. By teaming up with the celebrity hypnotherapist Dr. Steve G. Jones, Joe Vitale has prepared this course using which you can help others to use the law of attraction while you can also use it for your own betterment. Makers of this program, Steve G. Jones and Joe Vitale are both experts in the field of personal development. Whether it is wealth, health, relationships or general well being, this course will help you to improve all the areas of your life. Apart from this, you can also teach this to your friends, family members and obviously your clients. Since Joe Vitale and Steve Jones are most known for their expertise in helping people to attract more wealth, in this course you will find some great tools to improve your financial situation. After completing the course you will get a certification from the Global Sciences Foundation, but for that you will have to pass their online test. It is advised to go through the training gradually and practice the techniques thoroughly which can be done within a year long period. But, if you are already a successful law of attraction practitioner then you can simply finish the program quickly within three weeks and give the test. The test gives you three attempts to pass for which you will have to score at least 75% (for further attempts you will have to pay extra money). By passing the exam you will become a certified person to teach the law of attraction and your name will be added to the Global Sciences Foundation’s international online list of law of attraction practitioners. You will receive a digital certificate which will be sent to your email address and you will get lifetime support from the Global Sciences Foundation. You must be above age 18 to become a certified law of attraction teacher. 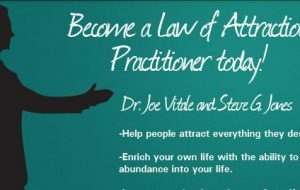 With Joe Vitale’s knowledge of the law of attraction and Steve G. Jones’s experience in hypnotherapy, they have created 5 manuals that will give you all the information you need to become a law of attraction practitioner. Book 1 – It will teach you about the basics of the law of attraction and its workings. You will also get to know about how your thoughts affect your reality and the right method to communicate with the universe. Book 2 – This book focuses on the importance of clearing your limiting beliefs, here you will get methods to eliminate the subconscious beliefs that blocks your success. Book 3 – A manual that makes you to take a close look at your current state so that you could take the right actions to speed up the manifestation process. Book 4 – This book is all about becoming energetically healthy by learning to forgive your past and being grateful for what you have. Book 5 – The final manual teaches you how to solve your inner conflicts and generate more positive feelings so that it could neutralize the effects of negative emotions. Is It Advisable to Opt for Online Law of Attraction Certification Courses? I believe that learning to manifest your dreams by using the law of attraction is a gradual process which can only be honed with persistent efforts, and presence of an experienced instructor makes a lot of difference. 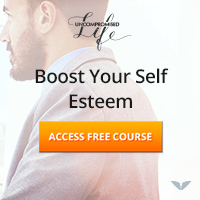 Live classrooms are best for learning the law of attraction than these online courses because there you get to practically implement what you have learned with a group of like minded people. But it is often difficult to find such coaching programs and some of them are very costly, so this program is indeed a help for people who lack time or money to join those programs. Joe Vitale and Steve G. Jones have created a plethora of life transforming programs together, and like all of them this product too contain information that can greatly help you to improve your life along with helping others with the same. Every book is only about 20 page long. So I felt that the information was very limited in comparison to many other products that I have tried. However, considering that you will be getting 3 attempts at the exam for the certification, I think it would be a fair deal. I would strongly recommend you to learn properly from the manuals and make use of it first rather than going after the certificate right away. 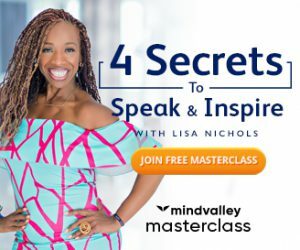 According to my opinion, this course would be a good investment on your personal development whereas you can teach the law of attraction to others. But if you dream to be someone who can transform a lot of lives then I would advise you to find a mentor who inspires you, this could be a good first step though. I hope you enjoyed this post. I would love to hear from you on this, so please do leave your comments below before leaving.